Mince beef, add flour, milk / water, egg, and finely cut bulb onion. Mix everything properly. 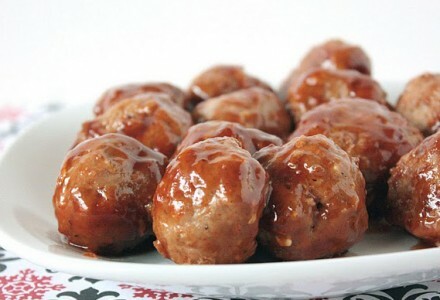 Shape stuffing in the form of meatballs (the diameter of each is 3-4 cm). Roll them in flour and fry until they get golden color. Place meatballs in a deep stewing pan, add tomato sauce, bay leaf, salt, and black ground pepper. Stew for about 20 minutes. Tip! Serve with boiled rice or buckwheat porridge or potato mash or fried potato.